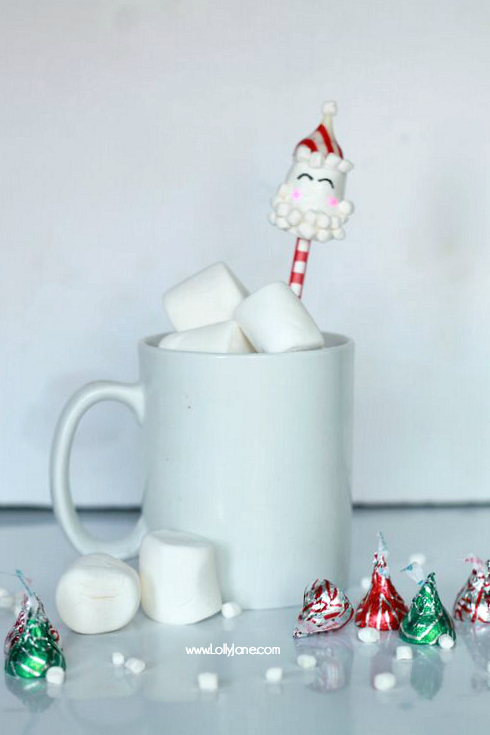 Although where we live in Arizona where it doesn’t get snow, it still gets really chilly on our sunny winter days and we have a fun tradition of making hot cocoa for the littles after school each day. Because they are able to walk home from school as it’s at the end of our street, they come in “so cold, mom!” and I always have a crock pot brewing of yummy cocoa for them. 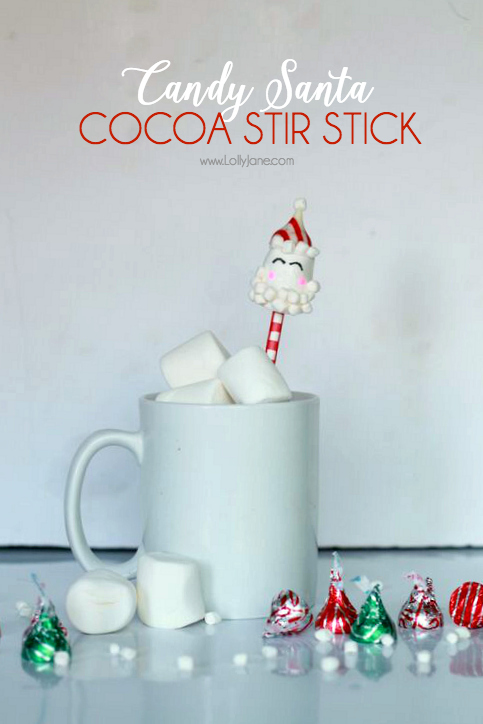 This season we can’t wait to surprise them with their own Candy Santa Cocoa Stir Stick station and let them get creative with making fun sticks to stir (then eat!) their hot chocolate! Putting these cute little guys together is so much fun and takes little supplies! 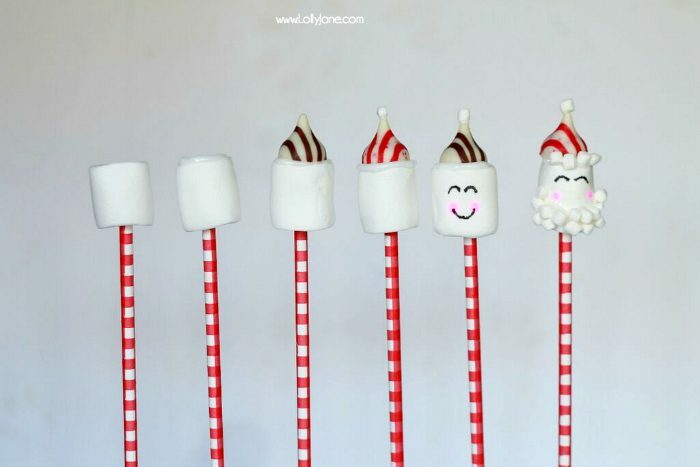 You can bet we had a lot of empty wrappers of Hershey’s Kisses chocolates (aka Santa hats) before they even made it on top of the marshmallow! Hee hee! 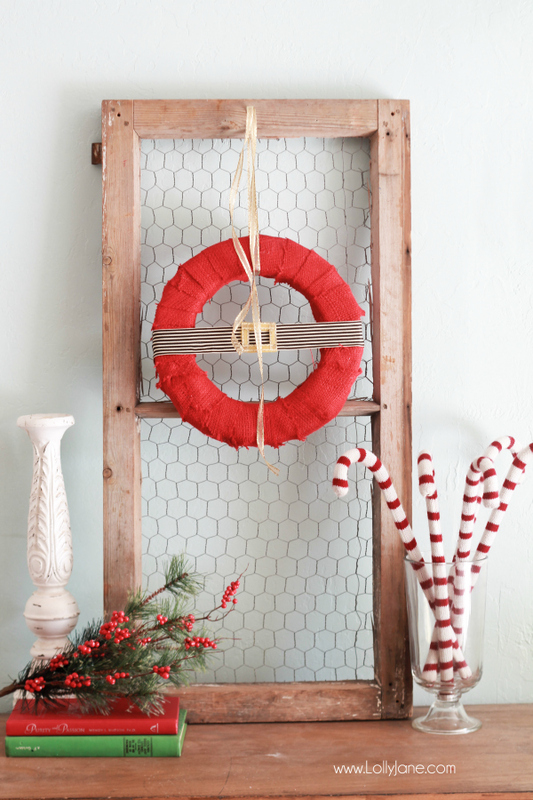 Making these is a cinch! 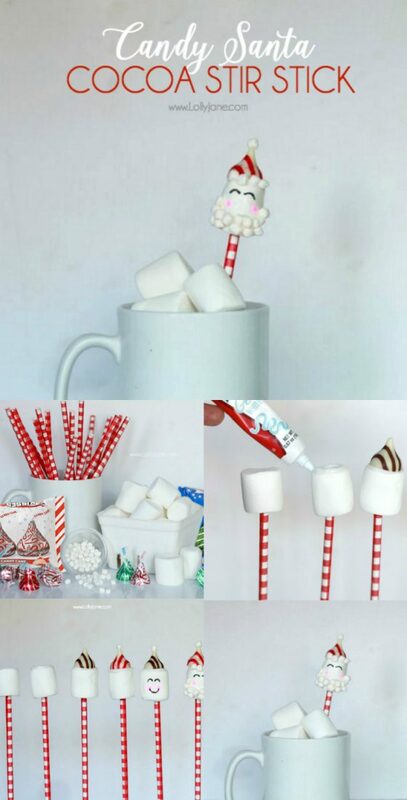 Stick paper straw (or candy cane) through the middle of a puff marshmallow. 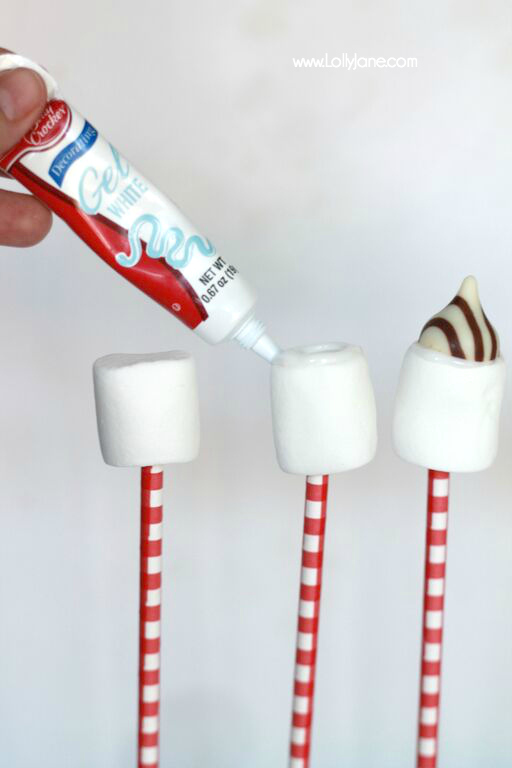 Add a circle of gel frosting around the top of the marshmallow. Stick Hershey’s Kisses chocolate on top of the frosting. Dab frosting on top of the Hershey’s Kisses chocolate and plop mallow bit on top of the marshmallow. Add Santa face with edible pens. 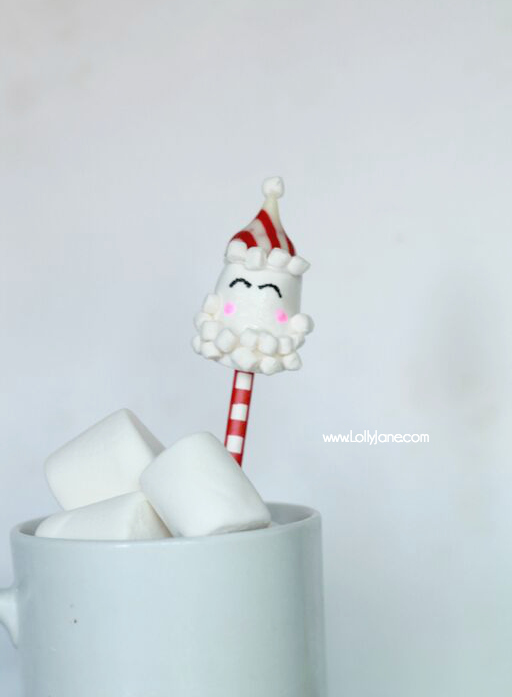 Dab more frosting on each mallow bit and make a beard then around the base of the Kiss. 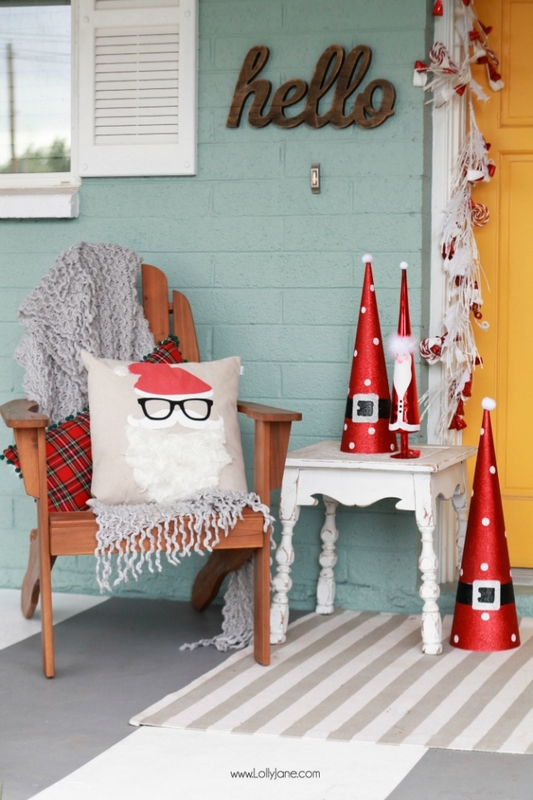 See how cheery Mr. Claus is? 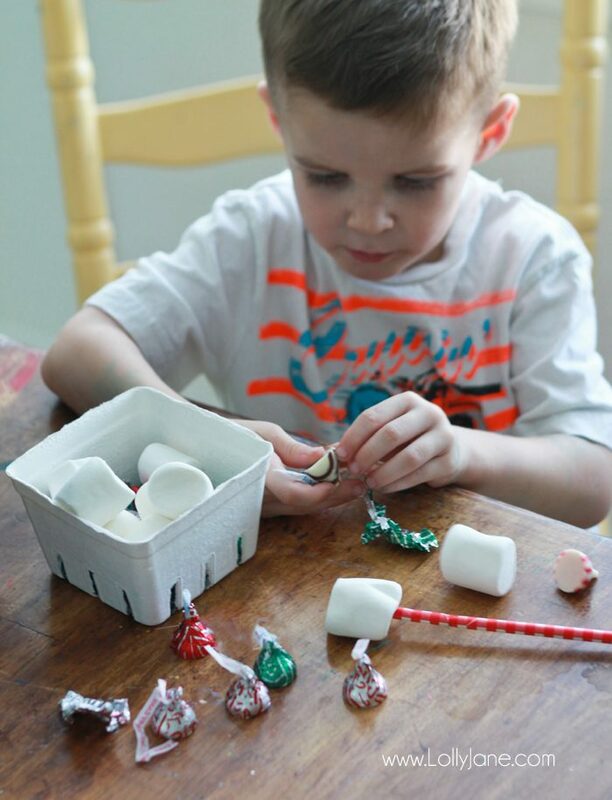 Love his striped Hershey’s Kisses candy hat the most! This little guy ate more Hershey’s Kisses than he made hats with but still had fun and that’s what this season is all about! Making memories and enjoying yummy treats with our kids to get into the holiday season! 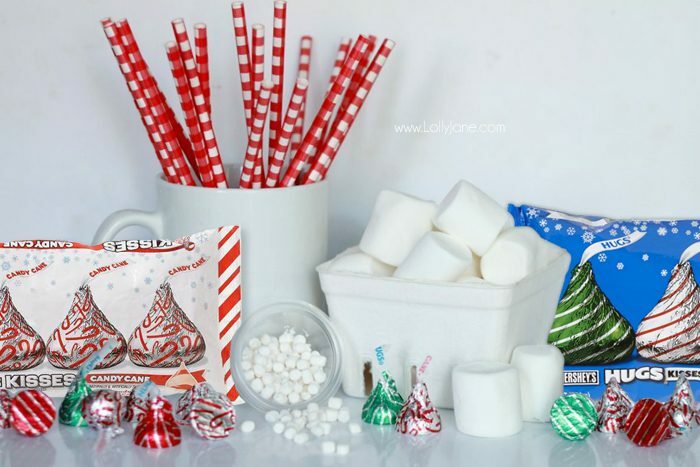 Click around the hashtag #NewTraditions and see what other fun Hershey Kiss chocolates creations and traditions are brewing around this magical season with The Hershey Company! 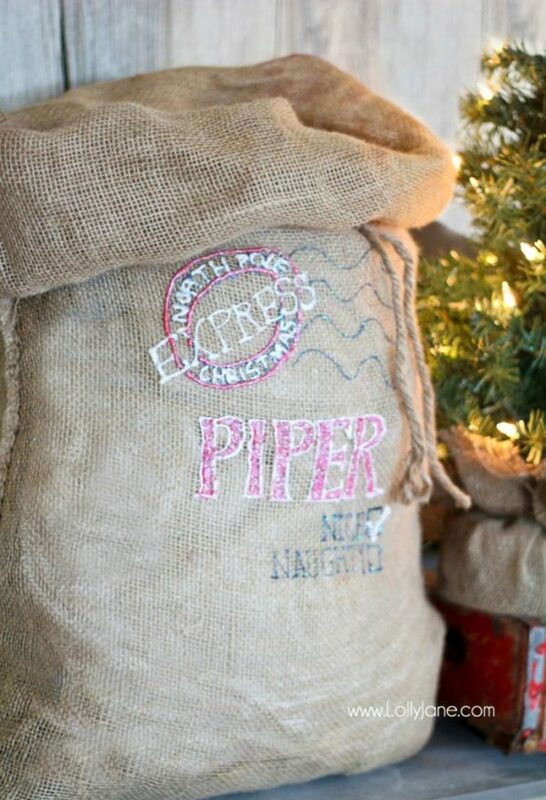 and our Personalized Santa Sack. Oh this is so cool! Love it, so creative! Thanks, girl! It’s so yummy too! These are so dang cute! I pinned them. I LOVE!